OMG Posters! » Archive "Mother (and her sprawling presence)" Art Print by Tomer Hanuka (Onsale Info) - OMG Posters! I’ve been waiting for what seems like forever for illustrator Tomer Hanuka to put out a new art print, and it looks like the wait has paid off. 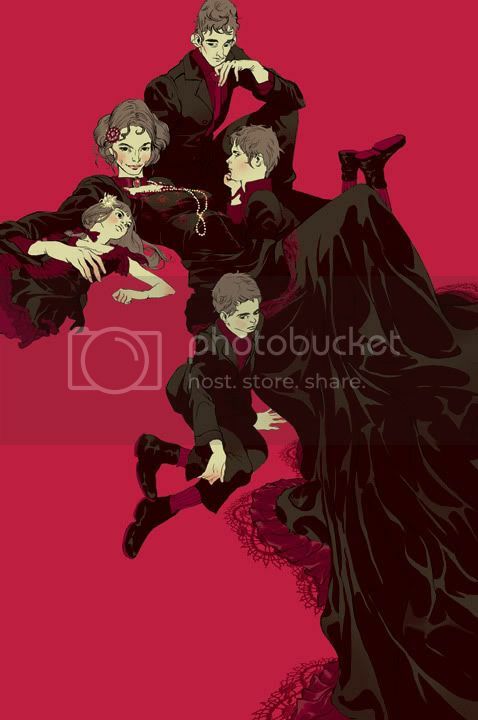 “Mother (and her sprawling presence)” is a 13″ x 19″ giclee, has an edition of 50, and will be $85. Both of his other limited edition prints have sold out, so I’d expect this one to go fast also. These go up on Wednesday, July 1st. Visit THanuka.com. By the way, I once contacted him about making screenprints, since he’s an amazingly talented artist, and I would love to see him delving into other forms of printing. Some may beg to differ and/or may wish to help him out, but this is more about sharing his response, since I’m sure there are others who wanted to know this piece of information. Very interesting -by the way – does anyone know what Ebeans has been down for 2 days? Yeah, it’s being discussed (kind of) at Gig Posters and Twitter. somebody call intervention. i am going to need rehab if EB is out much longer. He might now be fully aware of how insane you can get with screen printing, like stuff that Burlesque does or some of Drew Millward’s stuff, but I can see his hesitation. In order to make art screen printable, you sort of have to draw and compose it like that intentionally. I really like his stuff though. Tomer rules. good to see that the site is down (EB). I read on GigPosters but they were just waffling about crap – Nothing on twitter to explain why. Still – Those guys can get quiet nasty to newbies on that site so stay where its safe here. Yeah, I like gigposters and have been a member for 6 years now, but pretty much don’t say much over there.